Op de Braderie in Boskoop komt een stand van ’CDA op de koffie XL’. Onder het genot van een kopje koffie willen de fractie- en bestuursleden van CDA Alphen aan den Rijn met Boskopers in gesprek gaan. Zij horen graag wat u vindt van het gemeentebeleid; wat gaat goed en wat kan beter . Een onderwerp van gesprek is zeker de visie Boskoop die afgelopen week tijdens een inloopavond met inwoners is besproken. Speciaal voor de braderie is een fotowedstrijd gemaakt: ’Herken uw plekje’, waarmee mooie prijzen zijn te winnen. Heeft u trek in koffie en zin in een goed gesprek? 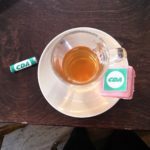 Kom naar de CDA stand op de braderie Boskoop op 23 en 24 september in het centrum van Boskoop. Thank you, I’ve just been looking for information about this topic for a long time and yours is the greatest I’ve came upon till now. However, what about the conclusion? Are you sure in regards to the source? You’ve made some decent points there. I checked on the web to find out more about the issue and found most people will go along with your views on this web site. Hi, I do think this is an excellent web site. I stumbledupon it 😉 I will revisit yet again since I book marked it. Money and freedom is the greatest way to change, may you be rich and continue to help other people. When someone writes an piece of writing he/she retains the thought of a user in his/her mind that how a user can understand it. So that’s why this post is outstdanding. Thanks! I’m impressed, I must say. Rarely do I encounter a blog that’s both equally educative and entertaining, and let me tell you, you have hit the nail on the head. The issue is something too few men and women are speaking intelligently about. Now i’m very happy I stumbled across this in my hunt for something relating to this. Normally I do not learn article on blogs, but I would like to say that this write-up very forced me to take a look at and do it! Your writing style has been surprised me. Thanks, very great post. Hello there, just changed into aware of your weblog via Google, and located that it’s really informative. I am going to be careful for brussels. I’ll be grateful when you proceed this in future. Numerous people might be benefited out of your writing. Cheers! This is the perfect blog for anyone who would like to find out about this topic. You realize so much its almost hard to argue with you (not that I actually would want to…HaHa). You definitely put a brand new spin on a subject that’s been written about for decades. Great stuff, just great! My coder is trying to convince me to move to .net from PHP. I have always disliked the idea because of the costs. But he’s tryiong none the less. I’ve been using WordPress on several websites for about a year and am worried about switching to another platform. I have heard excellent things about blogengine.net. Is there a way I can transfer all my wordpress posts into it? Any help would be really appreciated! My relatives always say that I am killing my time here at web, but I know I am getting knowledge everyday by reading such pleasant articles or reviews. Oh my goodness! Impressive article dude! Thank you, However I am going through problems with your RSS. I don’t know why I cannot subscribe to it. Is there anyone else getting identical RSS issues? Anyone who knows the answer will you kindly respond? Thanks!! Very good blog! Do you have any recommendations for aspiring writers? I’m planning to start my own site soon but I’m a little lost on everything. Would you suggest starting with a free platform like WordPress or go for a paid option? There are so many options out there that I’m completely overwhelmed .. Any recommendations? Bless you! Wow! In the end I got a webpage from where I be able to really get valuable facts concerning my study and knowledge. tips for new blog owners please share. I know this is off topic nevertheless I simply had to ask. this publish was great. I do not realize who you’re however definitely you’re going to a well-known blogger if you happen to are not already. as I provide credit and sources back to your weblog? My blog is in the very same area of interest as yours and my users would definitely benefit from some of the information you provide here. I am happy to seek out a lot of useful information right here in the publish, we’d like work out extra strategies on this regard, thank you for sharing. It’s awesome to pay a quick visit this website and reading the views of all mates on the topic of this paragraph, while I am also keen of getting know-how. my interest. I am going to bookmark your blog and keep checking for new information about once a week. for a similar subject, your web site came up, it seems to be good. Hi there, just become aware of your blog via Google, and located that it is truly informative. be interesting to read through content from other writers and use something from other web sites. I just want to mention I’m beginner to blogs and honestly loved your web-site. Very likely I’m likely to bookmark your site . You actually have terrific articles and reviews. Thanks a lot for sharing your website. I wanted to post a quick comment to appreciate you for the wonderful items you are posting at this website. My rather long internet look up has now been honored with excellent details to exchange with my friends and classmates. I ‘d admit that we visitors actually are undeniably lucky to be in a magnificent place with many brilliant people with insightful hints. I feel very grateful to have discovered your entire weblog and look forward to tons of more awesome minutes reading here. Thank you once more for all the details. Good – I should certainly pronounce, impressed with your site. I had no trouble navigating through all the tabs as well as related information ended up being truly simple to do to access. I recently found what I hoped for before you know it in the least. Reasonably unusual. Is likely to appreciate it for those who add forums or something, web site theme . a tones way for your client to communicate. Nice task. I am also writing to let you know of the really good experience our princess gained using your site. She realized many pieces, most notably what it’s like to possess an ideal teaching heart to let most people with ease have an understanding of selected advanced things. You really surpassed visitors’ expectations. Thanks for churning out such insightful, trustworthy, revealing and unique tips about this topic to Kate. We’re a group of volunteers and opening a brand new scheme in our community. Your site provided us with helpful information to work on. You have done a formidable process and our entire neighborhood might be grateful to you. I’m not positive where you are getting your info, however good topic. I needs to spend a while finding out much more or working out more. Thank you for great info I used to be on the lookout for this information for my mission. I’ve recently started a blog, the information you offer on this site has helped me greatly. Thank you for all of your time & work. “There is a time for many words, and there is also a time for sleep.” by Homer. great points altogether, you just received a new reader. What would you recommend in regards to your submit that you simply made a few days in the past? Any sure? We’re a group of volunteers and opening a new scheme in our community. Your site offered us with helpful information to paintings on. You have performed an impressive activity and our entire neighborhood might be grateful to you. Hello, Neat post. There is an issue with your web site in web explorer, may test this… IE nonetheless is the marketplace chief and a huge section of other folks will miss your excellent writing due to this problem. One other thing I would like to mention is that in place of trying to match all your online degree programs on days that you finish work (since most people are worn out when they come home), try to have most of your instructional classes on the week-ends and only a couple of courses on weekdays, even if it means taking some time off your saturdays. This is fantastic because on the saturdays and sundays, you will be extra rested in addition to concentrated upon school work. Thanks a bunch for the different suggestions I have learned from your blog. Thank you a bunch for sharing this with all people you really recognise what you are talking about! Bookmarked. Kindly also seek advice from my website =). We may have a link trade agreement between us! Nice post. I used to be checking constantly this blog and I am inspired! Very useful info specially the last part 🙂 I take care of such info much. I used to be seeking this particular info for a long time. Thanks and good luck. Can I simply say what a reduction to seek out someone who truly is aware of what theyre talking about on the internet. You undoubtedly know how to bring an issue to light and make it important. Extra people must read this and understand this facet of the story. I cant imagine youre no more standard since you undoubtedly have the gift. What i don’t understood is if truth be told how you’re now not actually much more well-preferred than you might be now. You are so intelligent. You recognize therefore significantly relating to this topic, produced me personally imagine it from numerous numerous angles. Its like men and women aren’t interested unless it¡¦s something to accomplish with Woman gaga! Your own stuffs great. At all times deal with it up! Generally I don’t read post on blogs, however I would like to say that this write-up very forced me to try and do so! Your writing style has been amazed me. Thanks, quite great post. Do you mind if I quote a couple of your posts as long as I provide credit and sources back to your weblog? My blog site is in the very same niche as yours and my users would truly benefit from some of the information you present here. Please let me know if this okay with you. Many thanks! I wish to show some thanks to this writer just for rescuing me from this particular challenge. As a result of browsing through the online world and seeing views which were not powerful, I thought my life was well over. Living minus the solutions to the issues you’ve resolved as a result of this blog post is a critical case, as well as ones that could have badly damaged my entire career if I hadn’t encountered your website. Your own personal understanding and kindness in playing with everything was vital. I don’t know what I would’ve done if I had not discovered such a subject like this. It’s possible to now look ahead to my future. Thank you so much for this expert and effective help. I will not hesitate to suggest your site to anyone who would need support about this problem. I just want to tell you that I’m new to blogs and absolutely loved your web-site. More than likely I’m likely to bookmark your blog . You definitely have perfect article content. Many thanks for sharing your website page. What i do not understood is actually how you’re not really much more well-liked than you may be right now. You are very intelligent. You realize thus significantly relating to this subject, made me personally consider it from numerous varied angles. Its like men and women aren’t fascinated unless it’s one thing to do with Lady gaga! Your own stuffs great. Always maintain it up! Thanks for some other fantastic article. Where else may just anyone get that kind of information in such an ideal method of writing? I’ve a presentation next week, and I am on the search for such information. I have figured out some new issues from your website about pc’s. Another thing I’ve always considered is that computers have become a specific thing that each household must have for most reasons. They supply you with convenient ways to organize households, pay bills, shop, study, hear music and perhaps watch tv shows. An innovative strategy to complete these tasks is with a notebook computer. These computers are mobile, small, powerful and convenient. I enjoy you because of your whole hard work on this web page. My mum take interest in making time for research and it’s really simple to grasp why. Most people notice all regarding the powerful tactic you give invaluable suggestions via your blog and even increase response from other individuals on that idea plus our daughter is truly studying so much. Take advantage of the remaining portion of the new year. You’re the one carrying out a great job. this website are really awesome for people knowledge, well, keep up the nice work fellows. After I originally commented I clicked the -Notify me when new feedback are added- checkbox and now each time a remark is added I get four emails with the identical comment. Is there any way you’ll be able to take away me from that service? Thanks! Excellent site. Plenty of useful information here. I am sending it to a few friends ans also sharing in delicious. And certainly, thanks for your effort! Another issue is that video games can be serious as the name indicated with the most important focus on mastering rather than entertainment. Although, it comes with an entertainment facet to keep your kids engaged, just about every game is normally designed to improve a specific set of skills or program, such as instructional math or research. Thanks for your article. Helpful information. Fortunate me I found your website accidentally, and I am stunned why this twist of fate didn’t took place in advance! I bookmarked it. Thanks for sharing superb informations. Your site is so cool. I’m impressed by the details that you’ve on this blog. It reveals how nicely you perceive this subject. Bookmarked this web page, will come back for extra articles. You, my friend, ROCK! I found just the information I already searched all over the place and just couldn’t come across. What a perfect website. Hiya, I am really glad I’ve found this info. Today bloggers publish just about gossip and web stuff and this is really annoying. A good blog with interesting content, this is what I need. Thank you for making this site, and I’ll be visiting again. Do you do newsletters by email? Hello there. I discovered your site by way of Google even as searching for a comparable subject, your website got here up. It appears good. I’ve bookmarked it in my google bookmarks to come back then. Hiya, I am really glad I have found this info. Today bloggers publish just about gossip and internet stuff and this is really frustrating. A good web site with exciting content, that is what I need. Thanks for making this web site, and I will be visiting again. Do you do newsletters by email? Hi there. I found your site by way of Google at the same time as searching for a comparable subject, your website got here up. It seems good. I have bookmarked it in my google bookmarks to come back then. Hello there. I discovered your website by the use of Google whilst searching for a similar topic, your web site got here up. It seems to be good. I have bookmarked it in my google bookmarks to come back then. Hiya, I am really glad I’ve found this information. Nowadays bloggers publish only about gossip and internet stuff and this is actually annoying. A good site with interesting content, this is what I need. Thanks for making this web-site, and I’ll be visiting again. Do you do newsletters by email? Hiya, I am really glad I’ve found this information. Nowadays bloggers publish only about gossip and net stuff and this is actually irritating. A good website with exciting content, this is what I need. Thank you for making this site, and I will be visiting again. Do you do newsletters by email? Hi there. I found your site by the use of Google whilst searching for a related topic, your web site came up. It seems good. I have bookmarked it in my google bookmarks to come back then. Hello there. I discovered your blog by means of Google whilst looking for a similar topic, your web site came up. It seems to be great. I’ve bookmarked it in my google bookmarks to visit then. I simply needed to say thanks yet again. I am not sure the things I would have taken care of without those advice contributed by you directly on such area. It previously was an absolute difficult setting in my view, nevertheless understanding your specialised strategy you solved that forced me to weep over fulfillment. I am just happier for the help and in addition sincerely hope you realize what a great job that you are carrying out training many people using your web site. More than likely you have never met any of us. Hiya, I am really glad I’ve found this information. Nowadays bloggers publish only about gossip and internet stuff and this is actually annoying. A good web site with exciting content, that’s what I need. Thank you for making this web site, and I will be visiting again. Do you do newsletters by email? Hiya, I am really glad I have found this information. Nowadays bloggers publish just about gossip and net stuff and this is really frustrating. A good web site with interesting content, this is what I need. Thank you for making this web site, and I will be visiting again. Do you do newsletters by email? Hey there. I discovered your blog by way of Google while searching for a comparable topic, your web site came up. It seems to be great. I’ve bookmarked it in my google bookmarks to come back then. Hiya, I’m really glad I have found this information. Nowadays bloggers publish only about gossip and internet stuff and this is actually annoying. A good site with exciting content, this is what I need. Thanks for making this web site, and I will be visiting again. Do you do newsletters by email? Hi there. I found your web site via Google at the same time as searching for a related topic, your website came up. It appears to be great. I’ve bookmarked it in my google bookmarks to come back then. Hi there. I discovered your blog by means of Google while searching for a comparable matter, your web site got here up. It appears good. I’ve bookmarked it in my google bookmarks to come back then. Hello there. I found your site via Google at the same time as searching for a comparable matter, your web site got here up. It seems good. I have bookmarked it in my google bookmarks to come back then. What i don’t understood is if truth be told how you are no longer really much more neatly-favored than you may be now. You’re so intelligent. You recognize thus considerably in the case of this topic, produced me for my part believe it from a lot of varied angles. Its like women and men are not fascinated except it’s something to do with Woman gaga! Your own stuffs great. At all times deal with it up! Hello there. I discovered your website via Google whilst searching for a related topic, your site got here up. It appears good. I have bookmarked it in my google bookmarks to visit then. Hey there. I found your web site by means of Google while looking for a similar subject, your website got here up. It seems to be great. I’ve bookmarked it in my google bookmarks to visit then. Hiya, I am really glad I have found this information. Nowadays bloggers publish only about gossip and web stuff and this is actually frustrating. A good blog with interesting content, that is what I need. Thank you for making this website, and I will be visiting again. Do you do newsletters by email? Hey there. I discovered your site by means of Google whilst searching for a similar topic, your website got here up. It looks great. I’ve bookmarked it in my google bookmarks to visit then. Hello there. I discovered your website via Google while searching for a comparable topic, your website came up. It appears to be good. I’ve bookmarked it in my google bookmarks to visit then. Hi there. I discovered your site by way of Google while searching for a similar subject, your web site came up. It appears great. I’ve bookmarked it in my google bookmarks to come back then. Hello there. I found your website by the use of Google at the same time as searching for a related matter, your website came up. It seems great. I have bookmarked it in my google bookmarks to visit then. My wife and i have been absolutely happy Peter managed to round up his basic research from the ideas he came across through the weblog. It’s not at all simplistic to just continually be giving for free secrets and techniques which often most people have been making money from. And we also do know we now have the blog owner to be grateful to for that. The specific illustrations you’ve made, the simple website menu, the friendships you give support to promote – it’s got everything exceptional, and it’s really making our son in addition to the family consider that that topic is enjoyable, and that is seriously pressing. Thank you for the whole thing! Hi there. I found your web site by the use of Google while searching for a similar topic, your web site came up. It appears good. I have bookmarked it in my google bookmarks to visit then. Hi there. I found your website by the use of Google at the same time as searching for a related topic, your website got here up. It seems great. I’ve bookmarked it in my google bookmarks to visit then. Hey there. I found your blog by the use of Google while looking for a comparable matter, your website got here up. It seems good. I’ve bookmarked it in my google bookmarks to come back then. Hi there. I discovered your blog via Google at the same time as searching for a related topic, your site got here up. It looks good. I have bookmarked it in my google bookmarks to visit then. Hey there. I discovered your blog by the use of Google whilst searching for a related matter, your web site came up. It seems great. I have bookmarked it in my google bookmarks to visit then. whoah this blog is great i love reading your articles. Keep up the great paintings! You already know, lots of people are looking round for this information, you could aid them greatly. Hiya, I am really glad I’ve found this info. Nowadays bloggers publish only about gossip and internet stuff and this is actually annoying. A good site with interesting content, that is what I need. Thank you for making this site, and I will be visiting again. Do you do newsletters by email? Hiya, I’m really glad I have found this info. Nowadays bloggers publish just about gossip and internet stuff and this is actually irritating. A good website with interesting content, this is what I need. Thanks for making this site, and I’ll be visiting again. Do you do newsletters by email? Hey there. I discovered your site by way of Google whilst looking for a similar matter, your website came up. It appears good. I have bookmarked it in my google bookmarks to come back then. Thanks for your post. I have often noticed that a majority of people are eager to lose weight when they wish to show up slim and also attractive. However, they do not often realize that there are many benefits for losing weight in addition. Doctors assert that over weight people suffer from a variety of ailments that can be directly attributed to their own excess weight. The good thing is that people who sadly are overweight as well as suffering from various diseases are able to reduce the severity of their illnesses simply by losing weight. You are able to see a continuous but identifiable improvement with health while even a moderate amount of losing weight is reached. Hello there. I discovered your web site by means of Google while looking for a related subject, your site got here up. It seems good. I’ve bookmarked it in my google bookmarks to visit then. Hiya, I am really glad I’ve found this info. Nowadays bloggers publish only about gossip and web stuff and this is actually irritating. A good site with exciting content, that is what I need. Thanks for making this web site, and I will be visiting again. Do you do newsletters by email? Hey there. I found your site via Google even as looking for a similar matter, your web site got here up. It looks great. I have bookmarked it in my google bookmarks to visit then. Hey there. I discovered your web site by the use of Google at the same time as searching for a related topic, your website came up. It seems good. I have bookmarked it in my google bookmarks to visit then. Hiya, I’m really glad I’ve found this information. Today bloggers publish just about gossip and internet stuff and this is actually frustrating. A good site with exciting content, that is what I need. Thank you for making this web site, and I’ll be visiting again. Do you do newsletters by email? Hiya, I’m really glad I’ve found this info. Today bloggers publish just about gossip and net stuff and this is really annoying. A good blog with exciting content, this is what I need. Thanks for making this site, and I’ll be visiting again. Do you do newsletters by email? Hey there. I found your web site by the use of Google even as searching for a comparable subject, your website got here up. It looks great. I’ve bookmarked it in my google bookmarks to come back then. Hiya, I’m really glad I have found this info. Today bloggers publish just about gossip and web stuff and this is really irritating. A good blog with interesting content, that is what I need. Thank you for making this website, and I’ll be visiting again. Do you do newsletters by email? Hi there. I discovered your blog by way of Google even as looking for a comparable topic, your site came up. It seems good. I have bookmarked it in my google bookmarks to come back then. Hello there. I found your blog by means of Google even as searching for a related matter, your site got here up. It seems to be great. I’ve bookmarked it in my google bookmarks to come back then. Hey there. I found your web site by the use of Google at the same time as searching for a related topic, your web site got here up. It appears to be great. I’ve bookmarked it in my google bookmarks to visit then. Hiya, I am really glad I’ve found this information. Today bloggers publish just about gossip and net stuff and this is really irritating. A good site with exciting content, that’s what I need. Thank you for making this site, and I’ll be visiting again. Do you do newsletters by email? Hey there. I found your blog by means of Google whilst looking for a comparable subject, your website got here up. It seems to be great. I’ve bookmarked it in my google bookmarks to come back then. Hiya, I’m really glad I have found this info. Today bloggers publish just about gossip and internet stuff and this is actually irritating. A good website with exciting content, this is what I need. Thanks for making this web site, and I will be visiting again. Do you do newsletters by email? Hello there. I discovered your site by way of Google at the same time as searching for a similar subject, your website got here up. It looks great. I have bookmarked it in my google bookmarks to visit then. Hey there. I discovered your blog via Google at the same time as looking for a related topic, your website got here up. It seems great. I have bookmarked it in my google bookmarks to come back then. Hi there. I found your website by means of Google at the same time as searching for a similar matter, your website got here up. It seems to be good. I’ve bookmarked it in my google bookmarks to visit then. Hello there. I found your website by means of Google whilst searching for a similar matter, your site came up. It seems to be great. I have bookmarked it in my google bookmarks to visit then. Hiya, I am really glad I have found this info. Today bloggers publish just about gossip and internet stuff and this is really frustrating. A good web site with exciting content, that is what I need. Thanks for making this web-site, and I’ll be visiting again. Do you do newsletters by email? Hi there. I discovered your site by the use of Google even as looking for a similar matter, your site got here up. It appears great. I’ve bookmarked it in my google bookmarks to visit then. Hi there. I discovered your web site by means of Google whilst searching for a similar matter, your site came up. It appears great. I have bookmarked it in my google bookmarks to visit then. Hello there. I discovered your blog by way of Google even as looking for a similar topic, your website came up. It seems good. I’ve bookmarked it in my google bookmarks to come back then. Hello there. I discovered your site via Google whilst searching for a comparable topic, your site came up. It looks great. I have bookmarked it in my google bookmarks to visit then. Hey there. I discovered your site via Google whilst looking for a related subject, your web site got here up. It appears great. I’ve bookmarked it in my google bookmarks to come back then. Hi there. I found your blog by means of Google at the same time as searching for a similar subject, your site came up. It seems great. I’ve bookmarked it in my google bookmarks to come back then. Hiya, I am really glad I have found this information. Today bloggers publish only about gossip and internet stuff and this is actually frustrating. A good website with exciting content, that’s what I need. Thanks for making this web-site, and I’ll be visiting again. Do you do newsletters by email? whoah this weblog is great i love reading your articles. Stay up the good paintings! You understand, many people are hunting around for this information, you can help them greatly. Hiya, I’m really glad I have found this information. Today bloggers publish only about gossip and net stuff and this is really frustrating. A good site with exciting content, this is what I need. Thank you for making this web-site, and I’ll be visiting again. Do you do newsletters by email? Hi there. I found your site by the use of Google while looking for a comparable topic, your web site got here up. It seems to be great. I have bookmarked it in my google bookmarks to come back then. Hello there. I found your site via Google while looking for a similar matter, your web site got here up. It appears good. I’ve bookmarked it in my google bookmarks to come back then. paid theme or did you modify it yourself? Either way keep up the excellent quality writing, it is rare to see a nice blog like this one nowadays. Hello there. I found your site by the use of Google at the same time as searching for a similar subject, your web site got here up. It appears to be good. I have bookmarked it in my google bookmarks to come back then. Hello there. I found your site by means of Google even as looking for a comparable subject, your website came up. It appears to be good. I have bookmarked it in my google bookmarks to come back then. Hiya, I’m really glad I have found this information. Today bloggers publish only about gossip and internet stuff and this is actually annoying. A good web site with interesting content, this is what I need. Thanks for making this web-site, and I will be visiting again. Do you do newsletters by email? Hiya, I’m really glad I have found this information. Nowadays bloggers publish just about gossip and internet stuff and this is really frustrating. A good website with exciting content, this is what I need. Thank you for making this web site, and I will be visiting again. Do you do newsletters by email? Hello there. I discovered your site by way of Google even as searching for a comparable matter, your website got here up. It appears to be great. I’ve bookmarked it in my google bookmarks to visit then. Hi there. I discovered your website via Google while searching for a comparable subject, your site came up. It appears to be great. I have bookmarked it in my google bookmarks to visit then. Hiya, I am really glad I have found this info. Today bloggers publish just about gossip and internet stuff and this is actually frustrating. A good site with interesting content, that is what I need. Thanks for making this web-site, and I’ll be visiting again. Do you do newsletters by email? Hiya, I’m really glad I’ve found this info. Nowadays bloggers publish only about gossip and internet stuff and this is actually irritating. A good site with exciting content, this is what I need. Thank you for making this web site, and I will be visiting again. Do you do newsletters by email? Hey there. I found your web site via Google whilst looking for a comparable matter, your site got here up. It appears great. I have bookmarked it in my google bookmarks to come back then. Hey there. I found your web site by way of Google while searching for a comparable subject, your site got here up. It seems to be good. I have bookmarked it in my google bookmarks to visit then. Hello there. I found your web site by way of Google whilst searching for a related matter, your website got here up. It appears good. I have bookmarked it in my google bookmarks to visit then. Hello there. I discovered your blog via Google whilst looking for a comparable subject, your web site got here up. It appears good. I’ve bookmarked it in my google bookmarks to visit then. Hiya, I am really glad I’ve found this information. Today bloggers publish just about gossip and internet stuff and this is actually irritating. A good website with interesting content, that is what I need. Thanks for making this web site, and I’ll be visiting again. Do you do newsletters by email? Hey there. I discovered your site by way of Google even as searching for a similar subject, your website came up. It seems to be great. I have bookmarked it in my google bookmarks to come back then. Hiya, I am really glad I have found this information. Nowadays bloggers publish only about gossip and web stuff and this is actually annoying. A good blog with exciting content, this is what I need. Thanks for making this web site, and I’ll be visiting again. Do you do newsletters by email? Hiya, I’m really glad I’ve found this information. Nowadays bloggers publish only about gossip and web stuff and this is really irritating. A good website with interesting content, that is what I need. Thank you for making this site, and I will be visiting again. Do you do newsletters by email? Thanks a lot for providing individuals with an extremely splendid chance to read in detail from this blog. It can be very pleasant and as well , full of amusement for me personally and my office co-workers to search your blog at the least three times in a week to see the latest secrets you will have. Of course, I’m always pleased with the awesome advice you serve. Certain 4 areas in this article are definitely the most effective I’ve ever had. Hi there. I discovered your web site by the use of Google at the same time as searching for a related topic, your site got here up. It appears good. I have bookmarked it in my google bookmarks to come back then. Hey there. I discovered your blog by way of Google at the same time as searching for a comparable subject, your web site got here up. It appears to be good. I’ve bookmarked it in my google bookmarks to visit then. Hi there. I found your site by way of Google at the same time as looking for a comparable subject, your website came up. It seems good. I’ve bookmarked it in my google bookmarks to visit then. Hiya, I’m really glad I’ve found this info. Nowadays bloggers publish just about gossip and internet stuff and this is really annoying. A good web site with interesting content, that’s what I need. Thank you for making this web-site, and I’ll be visiting again. Do you do newsletters by email? Hi there. I found your web site by means of Google at the same time as searching for a related subject, your web site came up. It appears great. I have bookmarked it in my google bookmarks to come back then. I’ve read some just right stuff here. Certainly value bookmarking for revisiting. I wonder how much effort you set to make this type of wonderful informative site. Hiya, I am really glad I’ve found this information. Nowadays bloggers publish only about gossip and internet stuff and this is actually irritating. A good site with interesting content, this is what I need. Thanks for making this website, and I will be visiting again. Do you do newsletters by email? Hiya, I’m really glad I have found this info. Nowadays bloggers publish just about gossip and net stuff and this is actually frustrating. A good blog with interesting content, that is what I need. Thank you for making this website, and I’ll be visiting again. Do you do newsletters by email? Hiya, I am really glad I have found this information. Today bloggers publish only about gossip and net stuff and this is actually annoying. A good web site with exciting content, that is what I need. Thank you for making this web-site, and I will be visiting again. Do you do newsletters by email? Hiya, I am really glad I’ve found this info. Nowadays bloggers publish just about gossip and web stuff and this is really frustrating. A good site with interesting content, that’s what I need. Thanks for making this web site, and I will be visiting again. Do you do newsletters by email? Hi there. I found your blog via Google at the same time as looking for a similar subject, your web site came up. It seems good. I’ve bookmarked it in my google bookmarks to visit then. Hello there, You’ve done a fantastic job. I will certainly digg it and in my view recommend to my friends. Hello there. I found your web site by means of Google at the same time as looking for a related topic, your web site came up. It appears great. I have bookmarked it in my google bookmarks to visit then. Hi there. I discovered your site by means of Google while searching for a related subject, your website came up. It looks good. I have bookmarked it in my google bookmarks to visit then. Hi there. I found your web site by means of Google even as looking for a related topic, your website came up. It appears great. I have bookmarked it in my google bookmarks to come back then. Hiya, I am really glad I have found this information. Today bloggers publish only about gossip and net stuff and this is really irritating. A good site with exciting content, that’s what I need. Thanks for making this web-site, and I’ll be visiting again. Do you do newsletters by email? Hi there. I found your site by the use of Google while searching for a related topic, your web site came up. It appears to be good. I have bookmarked it in my google bookmarks to visit then. Hi there. I discovered your site by the use of Google whilst looking for a similar topic, your site came up. It seems to be great. I have bookmarked it in my google bookmarks to visit then. Hello there. I found your web site by the use of Google whilst looking for a similar subject, your website got here up. It appears to be great. I’ve bookmarked it in my google bookmarks to come back then. Hiya, I’m really glad I have found this info. Today bloggers publish only about gossip and internet stuff and this is actually frustrating. A good website with exciting content, this is what I need. Thanks for making this web site, and I will be visiting again. Do you do newsletters by email? Hiya, I am really glad I’ve found this info. Nowadays bloggers publish only about gossip and web stuff and this is actually annoying. A good website with interesting content, that is what I need. Thank you for making this site, and I will be visiting again. Do you do newsletters by email? Hi there. I discovered your blog by way of Google while searching for a comparable matter, your site came up. It seems great. I have bookmarked it in my google bookmarks to visit then. Hiya, I’m really glad I have found this info. Today bloggers publish only about gossip and web stuff and this is actually annoying. A good site with interesting content, that is what I need. Thank you for making this web-site, and I’ll be visiting again. Do you do newsletters by email? Hi there. I found your website by way of Google whilst looking for a related matter, your web site came up. It appears to be good. I’ve bookmarked it in my google bookmarks to visit then. Hey there. I found your website by means of Google whilst searching for a comparable matter, your web site got here up. It looks great. I’ve bookmarked it in my google bookmarks to come back then. Hey there. I found your site via Google while looking for a comparable subject, your web site got here up. It seems to be great. I’ve bookmarked it in my google bookmarks to come back then. Hi there. I found your website via Google while looking for a similar matter, your website came up. It appears great. I’ve bookmarked it in my google bookmarks to visit then. Hiya, I am really glad I’ve found this information. Nowadays bloggers publish just about gossip and web stuff and this is actually frustrating. A good website with exciting content, this is what I need. Thanks for making this web site, and I’ll be visiting again. Do you do newsletters by email? Hiya, I am really glad I have found this info. Today bloggers publish just about gossip and internet stuff and this is really irritating. A good web site with interesting content, that is what I need. Thanks for making this site, and I will be visiting again. Do you do newsletters by email? Hello there. I discovered your blog by way of Google while looking for a comparable topic, your site came up. It seems to be great. I’ve bookmarked it in my google bookmarks to visit then. Hiya, I’m really glad I’ve found this information. Today bloggers publish just about gossip and web stuff and this is actually irritating. A good site with interesting content, this is what I need. Thanks for making this site, and I will be visiting again. Do you do newsletters by email? I would like to voice my affection for your kind-heartedness in support of men and women that actually need help with your concern. Your special commitment to getting the solution up and down had been really valuable and have regularly encouraged folks like me to arrive at their dreams. Your new warm and friendly guidelines implies a great deal to me and even further to my peers. With thanks; from everyone of us. Hey there. I discovered your website via Google while looking for a related topic, your website got here up. It looks great. I have bookmarked it in my google bookmarks to come back then. Hiya, I am really glad I’ve found this information. Nowadays bloggers publish only about gossip and net stuff and this is really irritating. A good website with exciting content, this is what I need. Thank you for making this web-site, and I will be visiting again. Do you do newsletters by email? Great post. I was checking constantly this weblog and I’m impressed! Very useful info particularly the closing part 🙂 I deal with such info much. I was looking for this particular info for a very lengthy time. Thank you and best of luck. Hey there. I discovered your web site via Google at the same time as looking for a related matter, your web site came up. It seems to be good. I have bookmarked it in my google bookmarks to visit then. Hiya, I am really glad I’ve found this info. Today bloggers publish just about gossip and net stuff and this is actually frustrating. A good site with exciting content, that is what I need. Thanks for making this web-site, and I will be visiting again. Do you do newsletters by email? Hiya, I am really glad I have found this information. Today bloggers publish only about gossip and web stuff and this is actually annoying. A good site with interesting content, this is what I need. Thanks for making this web-site, and I will be visiting again. Do you do newsletters by email? I would like to point out my admiration for your kind-heartedness in support of persons that really want help on this one subject. Your very own dedication to passing the solution throughout appeared to be amazingly advantageous and have truly allowed workers just like me to reach their pursuits. Your own useful instruction signifies this much a person like me and extremely more to my peers. Thanks a lot; from everyone of us. Hello there. I discovered your site by means of Google while searching for a comparable matter, your website got here up. It seems to be good. I’ve bookmarked it in my google bookmarks to visit then. Hey there. I discovered your web site by the use of Google at the same time as searching for a related topic, your website came up. It looks good. I’ve bookmarked it in my google bookmarks to come back then. Hiya, I am really glad I’ve found this info. Nowadays bloggers publish only about gossip and internet stuff and this is really annoying. A good site with exciting content, that is what I need. Thanks for making this site, and I will be visiting again. Do you do newsletters by email? Hey there. I found your web site by the use of Google at the same time as looking for a comparable topic, your website came up. It appears to be great. I’ve bookmarked it in my google bookmarks to come back then. Hello there. I found your web site by way of Google at the same time as searching for a comparable subject, your site got here up. It appears to be good. I have bookmarked it in my google bookmarks to come back then. Hiya, I am really glad I have found this information. Today bloggers publish only about gossip and net stuff and this is actually annoying. A good blog with interesting content, that is what I need. Thanks for making this website, and I will be visiting again. Do you do newsletters by email? Hiya, I’m really glad I’ve found this information. Today bloggers publish only about gossip and web stuff and this is actually annoying. A good site with interesting content, that is what I need. Thanks for making this website, and I will be visiting again. Do you do newsletters by email? Hiya, I am really glad I have found this information. Nowadays bloggers publish just about gossip and net stuff and this is actually irritating. A good site with exciting content, that is what I need. Thank you for making this web site, and I’ll be visiting again. Do you do newsletters by email? Hey there. I discovered your blog by the use of Google whilst searching for a similar matter, your web site came up. It appears to be good. I have bookmarked it in my google bookmarks to come back then. Hey there. I found your site via Google while looking for a related matter, your web site got here up. It appears to be great. I’ve bookmarked it in my google bookmarks to come back then. Hi there. I found your blog by way of Google whilst looking for a similar topic, your website came up. It appears to be great. I’ve bookmarked it in my google bookmarks to visit then. Hiya, I am really glad I’ve found this info. Nowadays bloggers publish just about gossip and internet stuff and this is actually annoying. A good website with interesting content, that’s what I need. Thanks for making this web-site, and I will be visiting again. Do you do newsletters by email? Hey there. I discovered your website by the use of Google at the same time as searching for a related topic, your website came up. It looks good. I’ve bookmarked it in my google bookmarks to come back then. Hiya, I’m really glad I have found this information. Nowadays bloggers publish just about gossip and web stuff and this is actually irritating. A good website with exciting content, this is what I need. Thanks for making this website, and I’ll be visiting again. Do you do newsletters by email? Hiya, I am really glad I have found this information. Today bloggers publish just about gossip and web stuff and this is really frustrating. A good website with interesting content, that is what I need. Thank you for making this web-site, and I will be visiting again. Do you do newsletters by email? Appreciation to my father who stated to me on the topic of this website, this web site is genuinely remarkable. Hey there. I found your web site by way of Google at the same time as searching for a similar topic, your website came up. It appears to be great. I have bookmarked it in my google bookmarks to come back then. Hiya, I’m really glad I’ve found this info. Today bloggers publish only about gossip and internet stuff and this is actually annoying. A good web site with interesting content, this is what I need. Thank you for making this web-site, and I will be visiting again. Do you do newsletters by email? Hi there. I found your web site by the use of Google even as looking for a related topic, your website came up. It appears to be good. I have bookmarked it in my google bookmarks to come back then. Hiya, I’m really glad I have found this information. Today bloggers publish only about gossip and web stuff and this is really annoying. A good web site with exciting content, that’s what I need. Thank you for making this web site, and I’ll be visiting again. Do you do newsletters by email? Hiya, I am really glad I have found this information. Today bloggers publish only about gossip and internet stuff and this is really frustrating. A good web site with interesting content, that’s what I need. Thanks for making this website, and I’ll be visiting again. Do you do newsletters by email? Hi there. I found your web site by the use of Google even as looking for a similar subject, your website got here up. It appears great. I’ve bookmarked it in my google bookmarks to come back then. Hiya, I am really glad I’ve found this info. Nowadays bloggers publish just about gossip and web stuff and this is really irritating. A good web site with interesting content, this is what I need. Thank you for making this website, and I will be visiting again. Do you do newsletters by email? Thanks a lot for sharing this with all folks you really know what you are speaking about! Bookmarked. Kindly additionally visit my site =). We could have a hyperlink change contract between us! Hi there. I found your web site via Google while looking for a similar matter, your website got here up. It appears to be great. I have bookmarked it in my google bookmarks to come back then. Thank you, I have recently been looking for information about this topic for a long time and yours is the greatest I have discovered till now. But, what in regards to the bottom line? Are you sure concerning the source? Hi there. I found your website by way of Google at the same time as looking for a related matter, your web site got here up. It seems good. I’ve bookmarked it in my google bookmarks to come back then. Hello there. I found your web site via Google even as looking for a related topic, your website got here up. It appears good. I’ve bookmarked it in my google bookmarks to visit then. Hey there. I found your blog by means of Google even as looking for a comparable topic, your web site came up. It appears good. I’ve bookmarked it in my google bookmarks to come back then. Hey there. I found your web site via Google even as looking for a related topic, your site got here up. It looks good. I have bookmarked it in my google bookmarks to come back then. Good ¡V I should certainly pronounce, impressed with your site. I had no trouble navigating through all tabs and related info ended up being truly simple to do to access. I recently found what I hoped for before you know it at all. Reasonably unusual. Is likely to appreciate it for those who add forums or anything, website theme . a tones way for your customer to communicate. Excellent task..
Hiya, I am really glad I’ve found this information. Today bloggers publish only about gossip and internet stuff and this is really annoying. A good blog with exciting content, this is what I need. Thanks for making this web site, and I will be visiting again. Do you do newsletters by email? Hiya, I’m really glad I’ve found this information. Nowadays bloggers publish just about gossip and web stuff and this is actually frustrating. A good blog with exciting content, this is what I need. Thanks for making this site, and I’ll be visiting again. Do you do newsletters by email? Hiya, I am really glad I’ve found this info. Today bloggers publish only about gossip and internet stuff and this is actually frustrating. A good blog with interesting content, this is what I need. Thank you for making this website, and I will be visiting again. Do you do newsletters by email? Hi there. I found your site by the use of Google while searching for a similar subject, your site got here up. It looks good. I’ve bookmarked it in my google bookmarks to visit then. Hello there. I found your web site via Google even as looking for a comparable topic, your web site came up. It seems great. I have bookmarked it in my google bookmarks to visit then. Hiya, I am really glad I have found this information. Nowadays bloggers publish only about gossip and internet stuff and this is really annoying. A good site with interesting content, that is what I need. Thanks for making this website, and I’ll be visiting again. Do you do newsletters by email? Hey there. I found your blog via Google even as looking for a comparable matter, your web site came up. It seems good. I’ve bookmarked it in my google bookmarks to visit then. Hey there. I discovered your blog via Google whilst looking for a comparable matter, your site came up. It seems to be great. I have bookmarked it in my google bookmarks to come back then. Hello there. I found your blog by way of Google while searching for a comparable topic, your website came up. It looks good. I have bookmarked it in my google bookmarks to come back then. Hi there. I found your web site by way of Google whilst searching for a comparable matter, your site came up. It looks great. I have bookmarked it in my google bookmarks to visit then. Hiya, I’m really glad I have found this info. Today bloggers publish just about gossip and net stuff and this is really irritating. A good web site with exciting content, that’s what I need. Thank you for making this web-site, and I will be visiting again. Do you do newsletters by email? Someone essentially assist to make critically posts I would state. That is the very first time I frequented your website page and so far? I amazed with the analysis you made to make this particular submit incredible. Fantastic process! Hey there. I found your blog via Google at the same time as searching for a related subject, your site got here up. It seems great. I have bookmarked it in my google bookmarks to come back then. Hiya, I’m really glad I’ve found this info. Today bloggers publish just about gossip and internet stuff and this is really annoying. A good site with interesting content, this is what I need. Thanks for making this web-site, and I will be visiting again. Do you do newsletters by email? Hiya, I am really glad I have found this information. Nowadays bloggers publish just about gossip and internet stuff and this is actually irritating. A good site with interesting content, that is what I need. Thanks for making this site, and I’ll be visiting again. Do you do newsletters by email? Hi there. I discovered your site by the use of Google while searching for a similar subject, your web site came up. It appears good. I’ve bookmarked it in my google bookmarks to come back then. Hiya, I’m really glad I have found this information. Nowadays bloggers publish only about gossip and web stuff and this is actually irritating. A good web site with interesting content, that’s what I need. Thank you for making this site, and I’ll be visiting again. Do you do newsletters by email? What’s Happening i’m new to this, I stumbled upon this I have discovered It absolutely helpful and it has helped me out loads. I hope to contribute & help other users like its helped me. Good job. Hi there. I discovered your site by way of Google whilst searching for a similar subject, your site got here up. It appears good. I’ve bookmarked it in my google bookmarks to come back then. Hey there. I found your site by way of Google whilst searching for a comparable topic, your site got here up. It seems good. I have bookmarked it in my google bookmarks to come back then. Hey there. I discovered your site by the use of Google while searching for a related subject, your website got here up. It seems to be great. I’ve bookmarked it in my google bookmarks to visit then. Thanks for the auspicious writeup. It actually was once a enjoyment account it. Glance advanced to far added agreeable from you! By the way, how can we communicate? Hiya, I’m really glad I have found this info. Nowadays bloggers publish just about gossip and net stuff and this is actually irritating. A good site with interesting content, this is what I need. Thank you for making this web-site, and I will be visiting again. Do you do newsletters by email? Thank you, I’ve recently been looking for info approximately this subject for a long time and yours is the best I’ve came upon so far. But, what about the bottom line? Are you sure in regards to the source? Hey there. I found your blog by means of Google while looking for a comparable subject, your site came up. It appears great. I’ve bookmarked it in my google bookmarks to visit then. Hey there. I discovered your site by means of Google at the same time as looking for a related topic, your web site came up. It seems great. I have bookmarked it in my google bookmarks to come back then. Hello there. I discovered your web site by the use of Google whilst searching for a similar matter, your website got here up. It looks great. I have bookmarked it in my google bookmarks to visit then. Hiya, I’m really glad I have found this information. Today bloggers publish only about gossip and web stuff and this is actually irritating. A good blog with exciting content, that is what I need. Thank you for making this web site, and I’ll be visiting again. Do you do newsletters by email? F*ckin’ remarkable things here. I’m very satisfied to look your article. Thank you a lot and i’m taking a look forward to contact you. Will you kindly drop me a mail? Hey there. I found your website by the use of Google while searching for a comparable subject, your website got here up. It seems to be good. I have bookmarked it in my google bookmarks to visit then. Hiya, I’m really glad I have found this info. Today bloggers publish just about gossip and net stuff and this is actually annoying. A good web site with interesting content, this is what I need. Thanks for making this site, and I will be visiting again. Do you do newsletters by email? Hiya, I’m really glad I’ve found this information. Today bloggers publish just about gossip and net stuff and this is really annoying. A good blog with exciting content, this is what I need. Thank you for making this web site, and I’ll be visiting again. Do you do newsletters by email? Hi there. I found your blog by way of Google at the same time as searching for a similar subject, your website came up. It looks great. I have bookmarked it in my google bookmarks to come back then. Hi there. I discovered your website by way of Google while searching for a similar matter, your website got here up. It seems to be good. I’ve bookmarked it in my google bookmarks to come back then. Hiya, I’m really glad I’ve found this info. Today bloggers publish only about gossip and internet stuff and this is really frustrating. A good website with interesting content, that is what I need. Thank you for making this web site, and I will be visiting again. Do you do newsletters by email? Very interesting points you have remarked, thankyou for posting . “What the world really needs is more love and less paperwork.” by Pearl Bailey. I have read several good stuff here. Definitely worth bookmarking for revisiting. I wonder how much effort you put to make such a magnificent informative website. Hello there. I found your web site by means of Google while searching for a comparable topic, your web site got here up. It seems great. I have bookmarked it in my google bookmarks to come back then. Hey there. I discovered your web site by way of Google while looking for a similar topic, your site came up. It seems good. I have bookmarked it in my google bookmarks to come back then. Hiya, I’m really glad I have found this information. Today bloggers publish only about gossip and web stuff and this is really frustrating. A good site with interesting content, this is what I need. Thanks for making this site, and I’ll be visiting again. Do you do newsletters by email? Hiya, I’m really glad I’ve found this information. Nowadays bloggers publish just about gossip and web stuff and this is really irritating. A good site with exciting content, that’s what I need. Thank you for making this website, and I will be visiting again. Do you do newsletters by email? Great web site. Plenty of useful info here. I’m sending it to some friends ans additionally sharing in delicious. And naturally, thank you for your sweat! Hi there. I found your site via Google while looking for a comparable topic, your site came up. It seems great. I have bookmarked it in my google bookmarks to visit then. Hello there. I found your blog by way of Google at the same time as looking for a related subject, your site got here up. It appears to be great. I’ve bookmarked it in my google bookmarks to visit then. Hiya, I am really glad I have found this info. Today bloggers publish only about gossip and web stuff and this is actually irritating. A good web site with interesting content, that’s what I need. Thank you for making this site, and I will be visiting again. Do you do newsletters by email? Thanks for the helpful posting. It is also my opinion that mesothelioma cancer has an extremely long latency time period, which means that indication of the disease won’t emerge right until 30 to 50 years after the original exposure to asbestos. Pleural mesothelioma, that is certainly the most common kind and is affecting the area around the lungs, could cause shortness of breath, breasts pains, and a persistent cough, which may lead to coughing up body. Hey very cool web site!! Man .. Beautiful .. Amazing .. I will bookmark your blog and take the feeds also¡KI’m glad to find numerous helpful info right here in the post, we’d like work out extra techniques on this regard, thanks for sharing. . . . . .
Hiya, I’m really glad I have found this information. Today bloggers publish only about gossip and net stuff and this is really frustrating. A good blog with interesting content, that is what I need. Thank you for making this website, and I’ll be visiting again. Do you do newsletters by email? Hiya, I am really glad I’ve found this info. Today bloggers publish only about gossip and internet stuff and this is really irritating. A good web site with interesting content, that is what I need. Thanks for making this site, and I will be visiting again. Do you do newsletters by email? Hey there. I discovered your site by means of Google even as looking for a related matter, your website came up. It appears good. I have bookmarked it in my google bookmarks to come back then. Hey there. I discovered your website by means of Google whilst looking for a comparable subject, your web site got here up. It appears to be good. I have bookmarked it in my google bookmarks to visit then. Hey there. I found your web site by way of Google even as searching for a related matter, your site got here up. It appears great. I have bookmarked it in my google bookmarks to visit then. Hiya, I’m really glad I have found this information. Today bloggers publish just about gossip and internet stuff and this is actually frustrating. A good blog with exciting content, this is what I need. Thank you for making this site, and I will be visiting again. Do you do newsletters by email? Hiya, I’m really glad I have found this info. Today bloggers publish just about gossip and internet stuff and this is actually frustrating. A good site with exciting content, that is what I need. Thank you for making this web-site, and I will be visiting again. Do you do newsletters by email? hey there and thank you for your info – I have certainly picked up anything new from right here. I did however expertise a few technical issues using this web site, since I experienced to reload the site a lot of times previous to I could get it to load correctly. I had been wondering if your web host is OK? Not that I am complaining, but slow loading instances times will very frequently affect your placement in google and can damage your high-quality score if advertising and marketing with Adwords. Well I’m adding this RSS to my e-mail and can look out for a lot more of your respective fascinating content. Ensure that you update this again very soon..
Hiya, I’m really glad I’ve found this info. Nowadays bloggers publish just about gossip and net stuff and this is really irritating. A good website with exciting content, that’s what I need. Thanks for making this website, and I’ll be visiting again. Do you do newsletters by email? Hi there. I discovered your website by way of Google at the same time as looking for a similar topic, your website got here up. It appears good. I’ve bookmarked it in my google bookmarks to come back then. Hiya, I’m really glad I have found this information. Today bloggers publish only about gossip and internet stuff and this is really frustrating. A good website with exciting content, that’s what I need. Thanks for making this web-site, and I’ll be visiting again. Do you do newsletters by email? Wow, awesome blog structure! How long have you been blogging for? you made blogging glance easy. The entire glance of your web site is magnificent, as neatly as the content! Hiya, I am really glad I have found this information. Today bloggers publish only about gossip and internet stuff and this is actually frustrating. A good web site with exciting content, that is what I need. Thanks for making this site, and I’ll be visiting again. Do you do newsletters by email? I was looking through some of your content on this internet site and I think this web site is real instructive! Keep putting up. Thanks for your post on the traveling industry. We would also like to add that if you’re a senior taking into account traveling, its absolutely vital that you buy travel cover for golden-agers. When traveling, senior citizens are at high risk being in need of a health-related emergency. Getting the right insurance policy package for one’s age group can look after your health and provide peace of mind. Hello there. I found your site by way of Google at the same time as searching for a comparable subject, your website got here up. It appears great. I’ve bookmarked it in my google bookmarks to come back then. Hiya, I’m really glad I’ve found this information. Today bloggers publish just about gossip and internet stuff and this is really frustrating. A good website with exciting content, that’s what I need. Thank you for making this web site, and I’ll be visiting again. Do you do newsletters by email? Hey there. I found your blog by means of Google even as searching for a comparable matter, your site came up. It looks great. I’ve bookmarked it in my google bookmarks to come back then. Hey there. I found your site by the use of Google at the same time as looking for a comparable subject, your web site got here up. It appears to be great. I have bookmarked it in my google bookmarks to come back then. Hello there. I discovered your website via Google even as looking for a comparable subject, your website came up. It seems good. I have bookmarked it in my google bookmarks to visit then. What’s up mates, nice post and nice arguments commented here, I am really enjoying by these. Hey there. I found your website by means of Google at the same time as searching for a related subject, your site got here up. It appears great. I’ve bookmarked it in my google bookmarks to come back then.